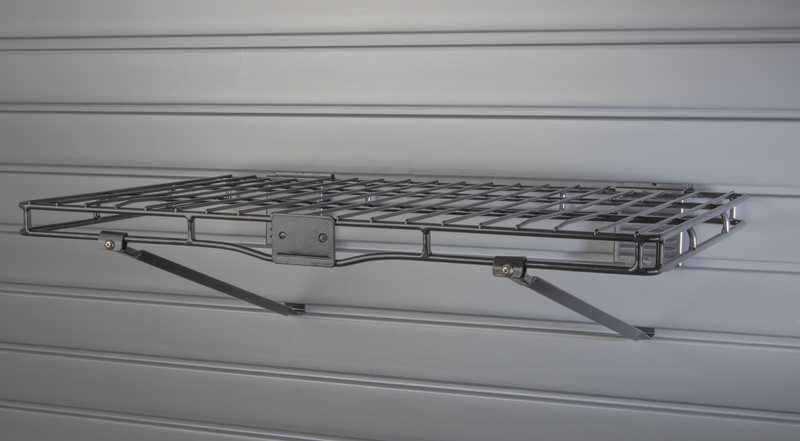 The HandiWall Steel Shelf is constructed of powder coated wire with support brackets. 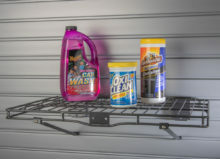 Organize lots of small items in your garage on slatwall panels. Features 2 braces underneath the shelf for more support. 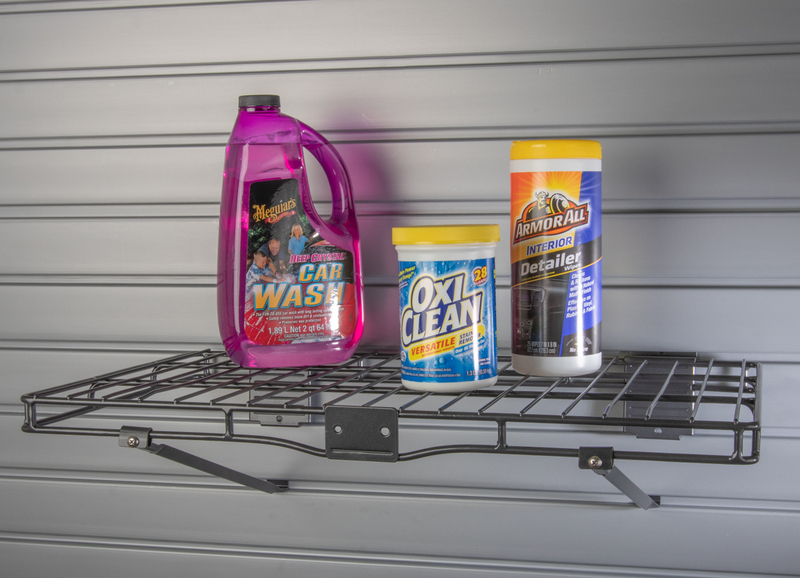 Designed to fit most standard 3″ on center slatwall panels. Measures 14 3/4″ deep x 24″ wide.